Another factor is the high burden of cancers related to infectious diseases such as cervical and liver cancer. Also, African women carry an increased burden of cancer, partly related to high incidences of cervical cancer, whereas in the rest of the world men carry the larger burden of cancer. The detection and treatment of cancer is particularly challenging in low resource settings. According to the The Lancet, the burden of cancers is increasing particularly in low- and middle-income countries, which could face a 75% increase in cancer cases by 2030. This alarming increase is mainly linked to poor diet, lack of exercise and other life-style habits associated with affluence, as well as ageing populations and longer life expectancies. However, South Africa is making strides in cancer treatment. 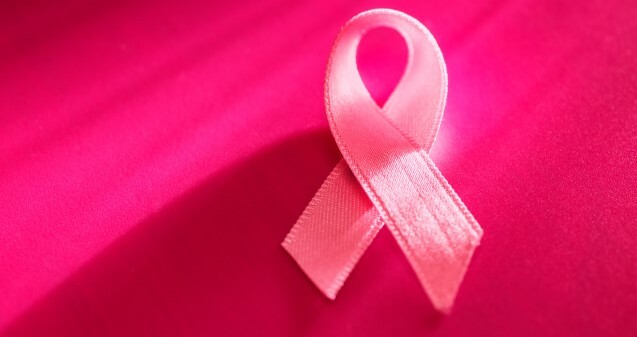 Recently, President Cyril Ramaphosa announced the establishment of a National Cancer Campaign, while the National Department of Health identified breast and cervical cancer as priority diseases. In 2017, the national breast cancer policy was released with a strong focus on improving early diagnosis. South Africa does not have a national public-sector mammography screening programme. There was a national cervical cancer screening programme since 2001, but population screening coverage remains suboptimal (the current national average is 57%) and many women are only diagnosed with cervical cancer when they present with late stage symptomatic disease. Understanding and addressing these factors is critical if we are to adequately address the problem of late stage diagnosis. In another recent paper published in BMC Women’s Health, Professor Moodley and her team also emphasised the need for using mobile technology to improve screening and increase awareness of early symptoms. The researchers explored the use of mobile phones to improve the management of clients with pre-cervical cancer. They found that women are interested in receiving information, but health system challenges need to be overcome. With regards to breast cancer, Professor Moodley highlights that the new national breast cancer plan includes the development and expansion of specialised breast cancer units at regional level, which have the capabilities for diagnosis and basic surgical management. With added support from tertiary provincial oncology units, these could assist with faster referrals and circumvent delayed treatments. “Achieving early diagnosis of breast and cervical cancer is an important step in reducing the morbidity and mortality from these diseases,” Professor Moodley concludes. The Cancer Research Initiative (CRI) was established in 2013 and is housed in the Faculty of Health Sciences at UCT. The aim of the Initiative is to facilitate integrated, interdisciplinary cancer research in the Faculty and beyond. Through collaborative research, the CRI pursues innovative, effective and relevant approaches to the prevention, diagnosis, and treatment of cancer, placing the Faculty at the forefront of research endeavours to address the alarming cancer burden in Africa.